Usually when people start a fitness journey they want to lose weight. But for some they want to pack the weight on and gain some muscle. Michael is an awesome client who turns up session after and most of all listens! 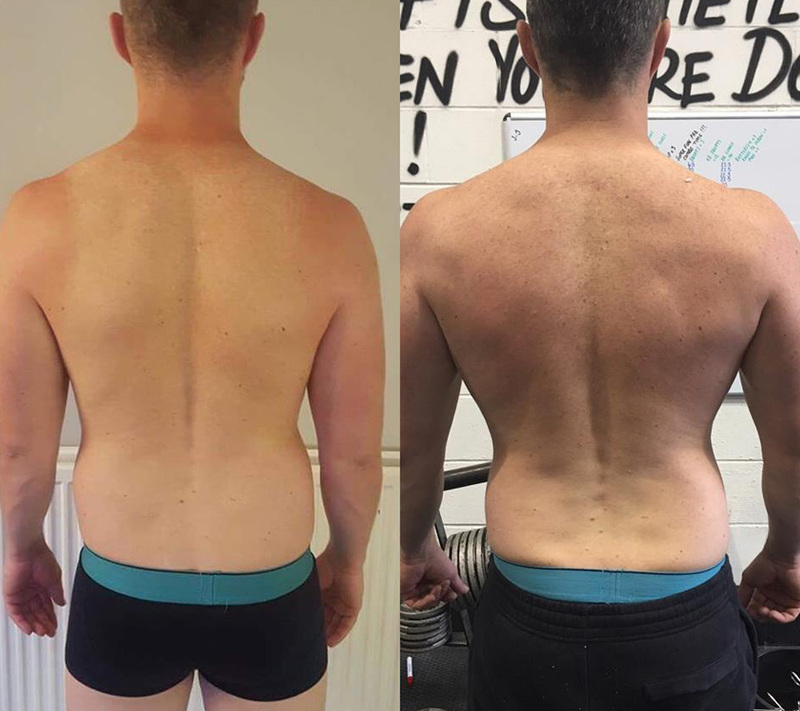 “I joined RT fitness in January 2017 with the goal of gaining weight and building muscle. I was given a nutritional plan to follow to achieve this goal. I just log my meals on the MyFitnessPal app on a daily basis. 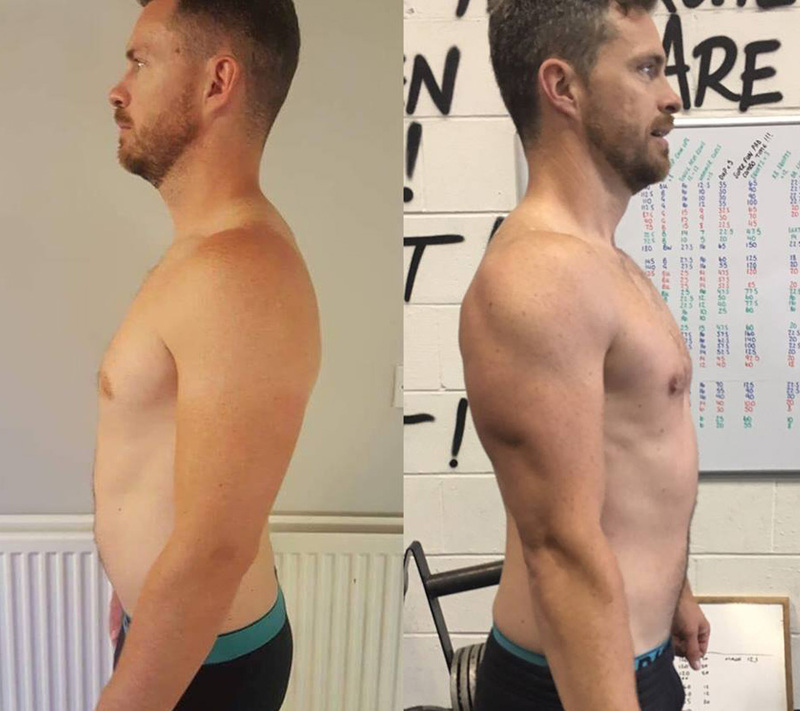 As I’ve always been a skinny guy I was glad to learn that I had to eat LOADS and get about 200g of protein into my system daily. I started on the ‘carnage’ program for the first month to get my fitness on track. Then I moved on to the 7am ‘strip and rip’ program which was where I wanted to be. It was a little intimidating being the new guy lifting the light weights (compared to the other guys) at first. Within the end of the first week I was at ease with the trainers and the other guys. Everyone is really friendly and supportive. We get the hard training done and have a laugh along the way. The class is small so we get the individual attention that we may require….yet, there are enough of us to encourage each other. Getting up and going to RT in the morning has become part of my normal routine. As a guy in my early 30s I have a lot of responsibilities with work and family life. I love that I’ve got something that’s just for me and it makes me feel and look great!